Apple's next big software update - iOS 12 - is expected to launch in the next month or so, but the latest beta has confirmed one of the most anticipated features won't be ready to use on day one. 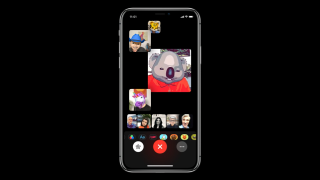 Group Facetime, a feature that allows you to video chat with up to 32 people at once, won't be waiting for you to use at launch and is instead delayed until a future update. That comes direct from the iOS 12 developer beta 7 that was spotted by 9To5Mac . While it doesn't elaborate on why the feature is delayed, a statement says "Group FaceTime has been removed from the initial release of iOS 12 and will ship in a future software update later this fall." That may mean you have to wait for iOS 12.1 or iOS 12.2 to be able to download the new feature, which if Apple follows its normal release patterns we'd expect both to be ready before the end of the year. Apple delayed features in a similar way last year with iOS 11 missing out on Apple Pay Cash and CarPlay 2 at launch, but the features came to handsets later on. If you've been desperately waiting for Group Facetime there are lots of alternatives out there for you to use like Google Hangouts and Skype, plus if you only want to talk in groups of three people you can use similar features on WhatsApp and Instagram too.